There are many possible pathways to pursuing a career in immigration. I, myself, went to law school at the University of Ottawa Faculty of Law where we were fortunate to have great professors and a variety of courses within immigration. Students in Vancouver go to law schools across the country. 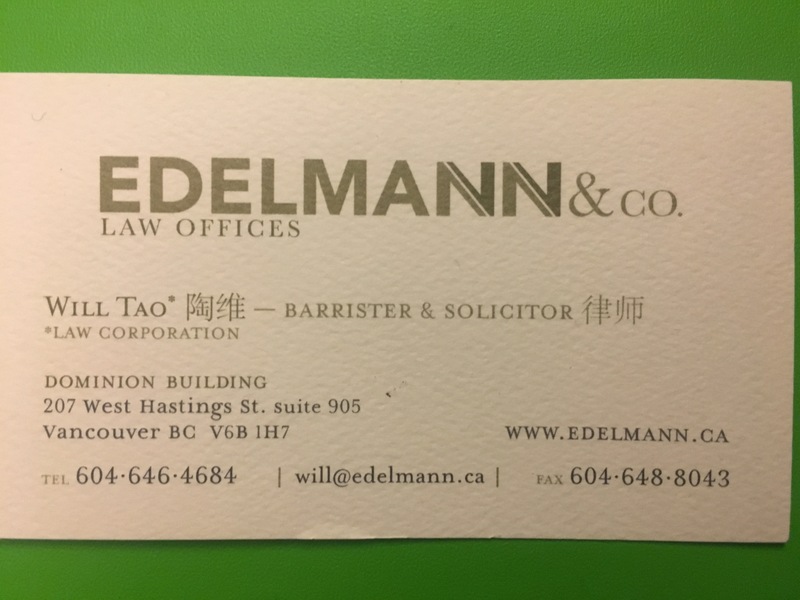 Within the province, I would suggest that the Peter A. Allard School of Law at UBC, the University of Victoria Faculty of Law, and Thompson Rivers University Faculty of Law are all great schools. There are several fantastic and gifted consultants in the industry many who have chosen to dedicate their practices solely to immigration and helping others. In order to be an authorized representative for immigration and a consultant, you must be licensed/registered through the Immigration Consultants of Canada Regulatory Council (as of the August 2017 posting of this page). This may change down the road so it is important to keep updated. In order to become an RCIC/RISIA it is required that you pass the licensing test. There are are several schools that offer quality programs. Several of my colleagues teach at the University of British Columbia’s Certificate in Immigration Law, Policies, and Procedures. Several of our legal assistants also train through that program. I would also like to recognize the efforts of Ashton College who under the leadership of their new Director of Immigration Practitioner Program Ron McKay are doing some fantastic work in building a strong immigration training program. I know several very passionate/talented consultants that have come out of the Ashton College program and would recommend the program as well. My own assistant is an Ashton grad and she is absolutely remarkable! Many individuals jump into immigration through their work in international studies, politics, formerly as lawyers in their home countries – you name it. Immigration is truly a field where your experiences from your own countries, your knowledge of languages, and even your own immigration stories all become assets that help you better understand the clients you work with. Lived experience of being an immigrant, the product of immigrant, or just someone who is in tune with the immigrant struggle is so valuable! If I mentioned your organization in this piece and would like me to share your logo, please email me at will.tao@larlee.com!